Good Morning Card makers! I hope today you are enjoying your Labor Day Weekend. We have a new challenge over at Can You Case It?. Today it is a sketch challenge. My card is actually a tunnel card. 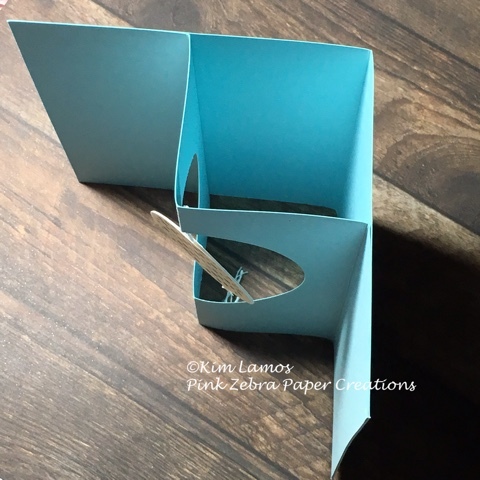 To make the base of the card, use a 8 1/2 X 11 piece of Pool Play Cardstock and cut it in half, like you normally would do to make a card. Fold them both in half, but the inside piece gets folded back on both sides. I also die cut a Journey Circle in the middle of the piece. I then attached the two pieces together on the sides. When folded again, it makes a regular card size. Next, I stamped the balloon from the Blown up set on Whip Cream Cardstock with Pineapple Smoothie ink. With the same set, I stamped the black dots on top with Black Licorice ink. I die cut this piece out with the Blown Up die (Current Bloom Benefit) and cut another one from Whip Cream Cardstock. I then made a sandwich with both and a piece of Whip Cream Thread. I adhered the top to the inside of the card. 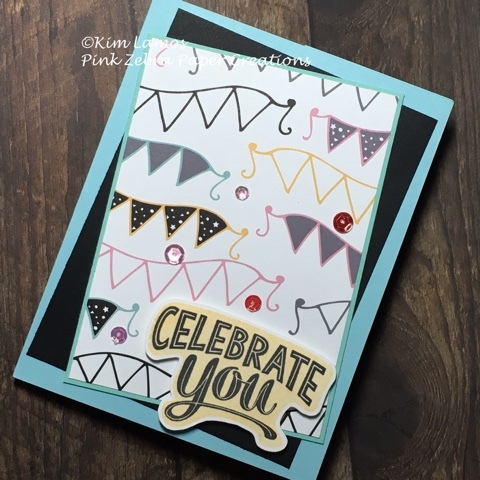 On the front of the card, I created a layer of Black Licorice Cardstock, Cool Pool Cardstock and Celebrate You Pattern Paper. I then stamped the sentiment from the Celebrate You ATS with Pineapple Smoothie ink background and Black Licorice ink for the words. I then detail cut this piece out and adhered it to the card using foam squares. To finish the card, I added some Journey Sequins-Pink World to the card. Enjoy! I'm loving your tunnel card! I'll have to try that technique! Adorable! 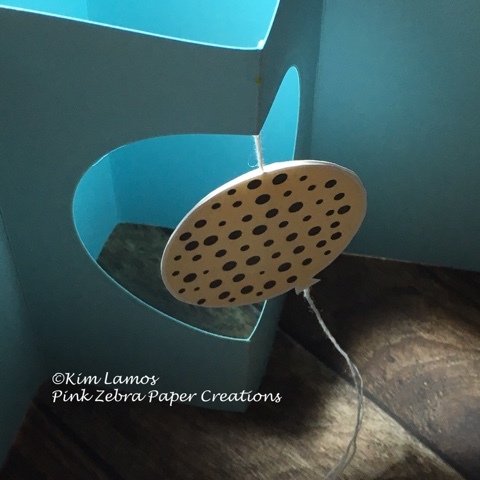 What a great idea to make a tunnel card. Never tried that! OOOOH What a great card Kim. It seems so simple on the outside and then WOW! the inside!!!! I think I need to try this! Kim, what a fun card?! Definitely unique and a really wonderful card! I love tunnel cards! Well done, great card. Such a fun card! I really want to try that pop-up middle of the card. Thanks for the inspiration!